Pamela Greenwell is Principal Lecturer at The University of Westminster. She leads a research team in glycobiology, molecular biology and bioinformatics and is actively involved with enabling research in clinical trials between academics, industry and Primary Care Trusts. Michelle McCulley has a background in human genetics and experience teaching a broad range of students and health professionals, she is currently a Senior Teaching fellow at the Peninsula Medical School. 1.2 Cancer and heart disease. 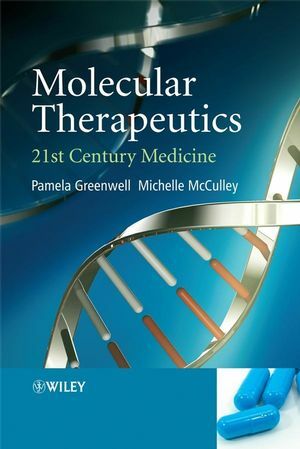 1.4 Role of molecular biology in therapeutics. 2 Prenatal diagnosis and pre-implementation. 2.1 Should we treat inherited diseases? 3 Simple protein replacement therapy. 3.1 Preventing transfusion-transmissible infectious diseases in the UK. 3.2 Ensuring the safety of organ transplants. 3.3 Preventing transfusion-transmissible infectious diseases worldwide. 4.2 Alternatives to E. coli for the production of recombinant proteins. 4.3 Problems with recombinant protein production. 4.4 All recombinants must be tested before they are given to humans. 4.5 Why make recombinant proteins? 5.5 The limitations of vaccine programmes. 5.6 The role of the WHO. 5.7 Problems specific to developing countries. 5.8 Economics and logistics of vaccinology. 5.10 Rational design: bioinformatics and proteomics. 5.11 Other interesting areas for vaccine development. 6 Therapeutic antibodies and immunotherapy. 6.5 The uses of monoclonal antibodies in therapy. 6.6 Specific examples of therapeutic strategies. 6.7 Other recombinant proteins used in immunotherapy. 7.1 Why do we want to engineer the genomes of animals? 7.3 DNA constructs, insertional mutagenesis and homologous recombination. 7.4 Uses of inducible and tissue-specific promoters. 7.5 Introduction of the DNA into the cells. 8 Transplantation: a form of gene therapy. 8.4 Other cells and tissues. 8.5 Summary of the problems associated with transplantation. 8.8 Religious beliefs and transplantation. 9.2 Rationale for the use of non-human donors. 9.3 Organs from non-human primates. 9.7 When will xenotransplantation start? 10.3 Why was there so much interest in Dolly? 10.4 Was Dolly a lone example? 10.5 Why is cloning useful? 10.6 Is human cloning a reality? 10.7 Why can we not produce human clones that are identical? 10.8 So why clone humans? 10.9 What are the ethical and moral problems? 11.1 The potency of cells. 11.3 Potency of stem cells. 11.4 Potential sources of stem cells. 11.5 Stem cells and therapeutic cloning. 11.6 Legislation and therapeutic cloning. 11.7 Other sources of stem cells. 11.8 What can be done? 11.9 Experiments on embryonic cells. 11.10 Experiments on fetal tissue and cord blood. 11.11 Stem cells from adult tissues. 11.12 Safety and technical problems. 11.13 Perceived scope of therapy. 11.14 Clinical trials of stem cell therapy. 11.15 What are the future prospects for stem cell research? 13 Gene therapy trials for inherited diseases. 13.2 Examples of disease treated with retroviral gene therapy. 13.4 Animal trials with Factor IX. 13.5 Adenoviruses have also been used to introduce genes into brain. 13.8 The uses of adeno-associated viruses. 13.10 Trials with polymer mareix delivery. 14.2 Triple helix (triplex) technology. 14.4 Small interfering RNAs (siRNAs). 15 Gene therapy for cancer. 15.2 Cancer: a multifactorial disease. 15.4 Best treatment currently available. 15.5 Do chemo- and radiotherapy cause problems? 15.7 Cancer models in animals. 15.8 What kinds of gene therapy can we use to treat cancer? 15.9 Perceived problems in cancer gene augmentation therapy. 15.10 Gene silencing technologies and cancer. 16 Single-nucleotide polymorphisms (SNPs) and therapy. 17 Legislation, clinical trials and ethical issues. 17.3 The problems of placebo controlled trials. 17.4 The need for informed consent. 17.5 Trials in developing countries. Cutting-edge topics and clinically relevant materials engage and maintain student interest. Features an additional web site, with a web forum, regular updates and PowerPoint slides of figures from the book.